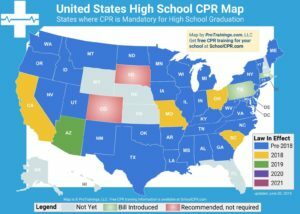 For teachers in Vermont, CPR and First Aid training required for health and physical education teachers. Also applies to school nurses and associate school nurses. Additional Requirements: Current certificates in full or compression only cardiopulmonary resuscitation (CPR) and the use of an Automated External Defibrillator (AED). A minimum of a practicum, or the equivalent, in health education at the elementary (PK-6) or middle/secondary (7-12) instructional level, depending on the authorization sought. For the full PK-12 authorization, a minimum of a practicum, or the equivalent, in health education at both the PK-6 and 7-12 instructional levels is required. REQUIRED TESTING: Praxis II Subject Assessment: Health – Test Code 5551. Additional Requirements: A minimum of a practicum, or the equivalent, in physical education at the elementary (PK-6) or middle/secondary (7-12) instructional level, depending on the authorization sought. For the full PK-12 authorization, a minimum of a practicum, or the equivalent, in physical education at both the PK-6 and 7-12 instructional levels is required. Current certificates in cardiopulmonary resuscitation (CPR), Automated External Defibrillator (AED), and first aid. 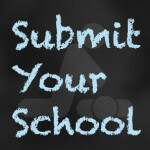 REQUIRED TESTING: Praxis II Subject Assessment Physical Education – Test Code 5095.